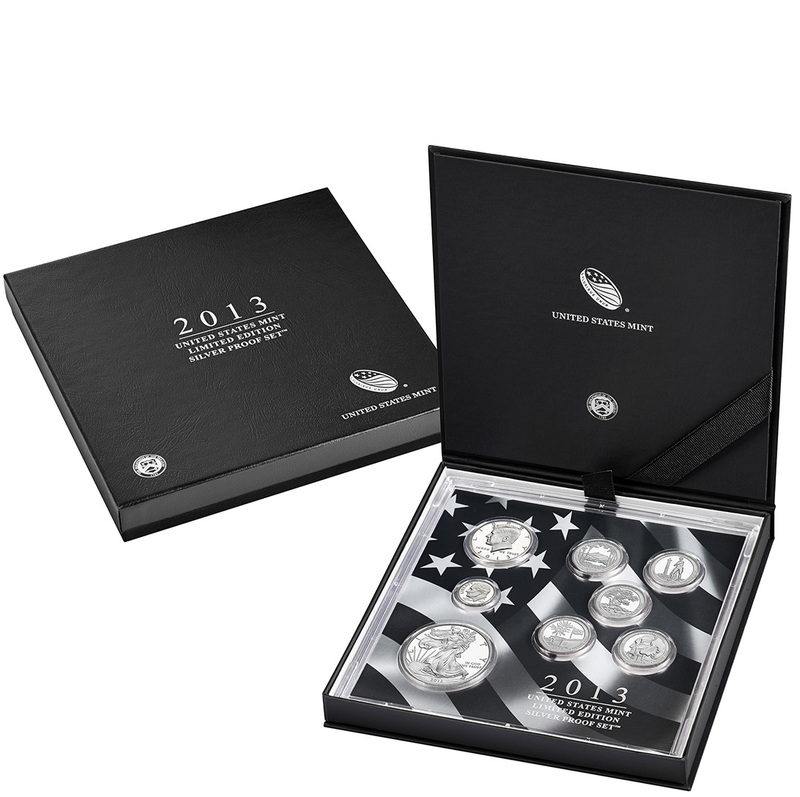 Now available from the United States Mint is the 2013 United States Mint Limited Edition Silver Proof Set™. It went on sale beginning at Noon (Eastern) on December 12, 2013. Included as part of the Limited Edition Silver Proof Set are eight proof quality coins struck from silver. Mintage cap for the release is limited to just 50,000. Seven of the coins in the set are composed of a 90% silver composition. One coin is featured in 99.9% silver. 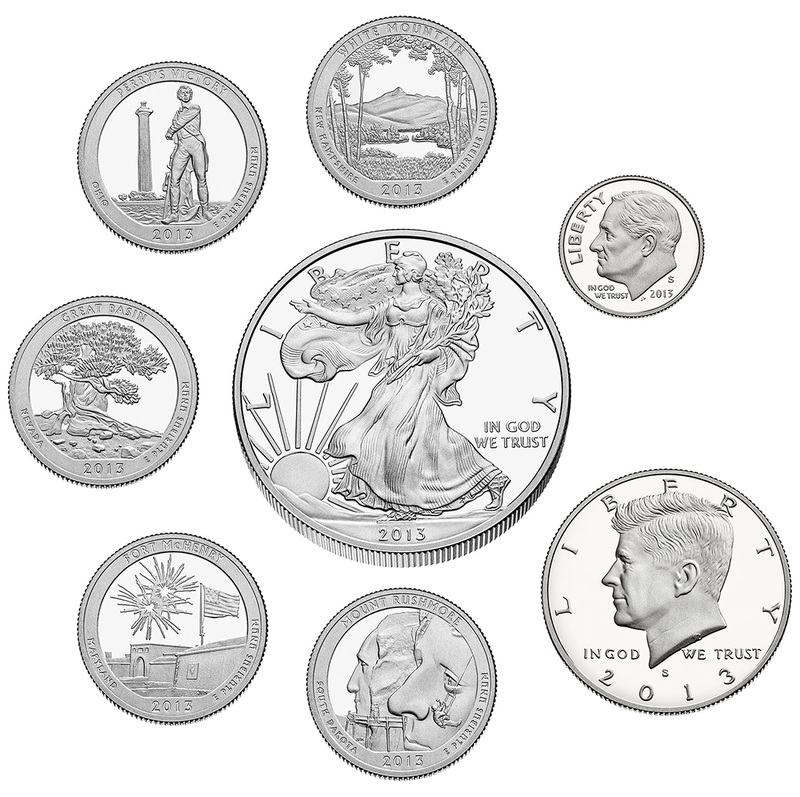 The 2013-W Proof Silver Eagle is composed of one ounce of 99.9% pure silver. Total silver content of the set is approximately 2.338 oz. Those interested in ordering one of the 2013 Limited Edition Silver Proof Sets can currently do so directly from the United States Mint. Current pricing of the release is $139.95, plus shipping and handling. 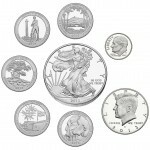 A link to the product page on the US Mint's website is located here. Orders are also accepted by calling 1-800-USA-MINT (872-6468).